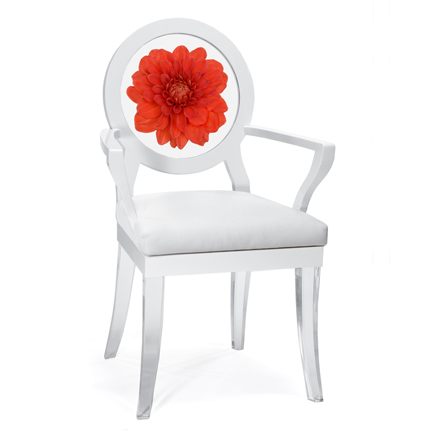 If you desire innovative furniture with clean, elegant lines and a romantic touch then Floral Art is what suits you best. 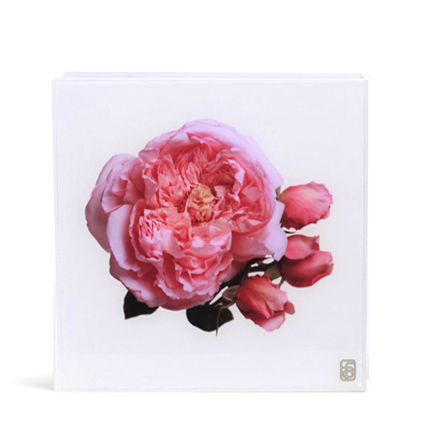 The Los Angeles based design studio offers home products varnished with beautiful flowers and other botanical elements that give a radiant look and bring a breath of fresh air. Furniture items, home accessories, fragrances and body care products are all exploring "the power of the flower", the beauty, richness and sensibility of floral aesthetic and ingredients. 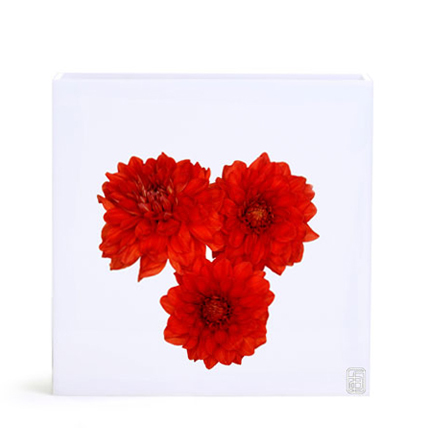 After a visit to Floral Art's online store I've made a selection of furnishings and accessories I loved best. 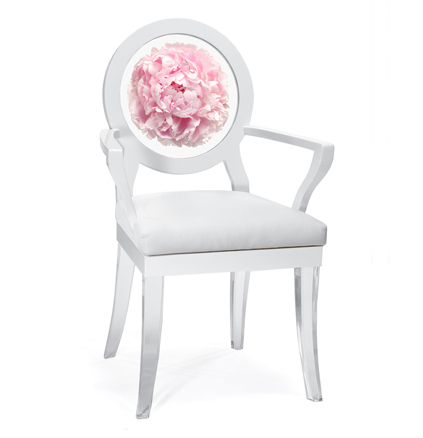 For the living room I would choose the set of chairs: Fuchsia Peony Floret and Floret Peony chairs ($2,400.00) along with Dahlia Floret and Dahlia Trio Floret chairs ($2,150.00) designed with high gloss finished white wood frame, clear Lucite legs and faux leather upholstery. 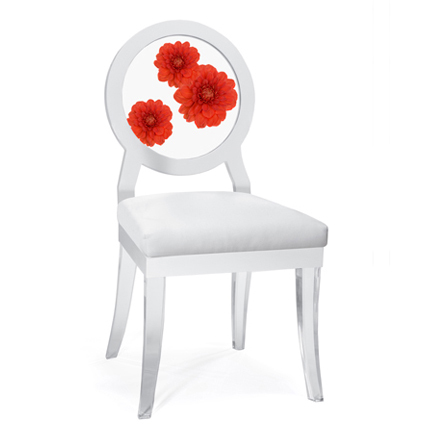 These chairs will go perfectly around the splendid Yellow Rose Table, ($4,850.00) that brightens the room with its clear Lucite legs, polished white wood and glass top. 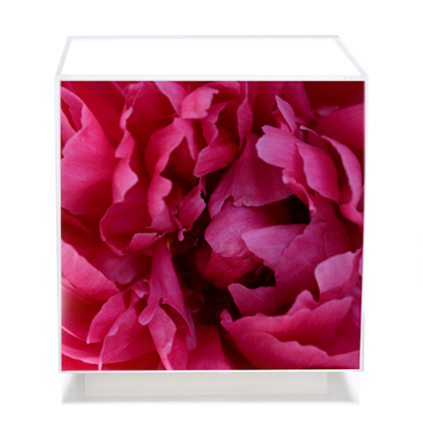 For the bedroom I'd pick Fuchsia Peony Cube Table ($1,200.00), made from clear and white Lucite with a photographic image of my favorite flower. 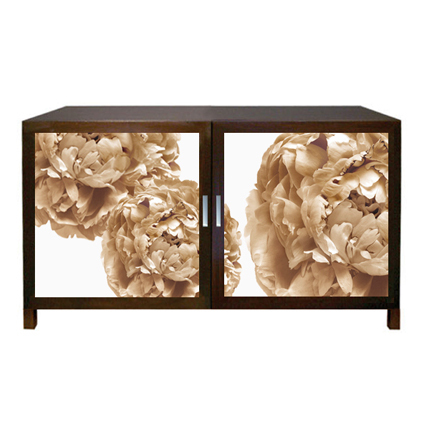 If you're looking for special storage items, I warmly recommend you Sepia Peony Cabinet ($2,995.00) with dark wood side frame and a sepia-toned image of peonies. 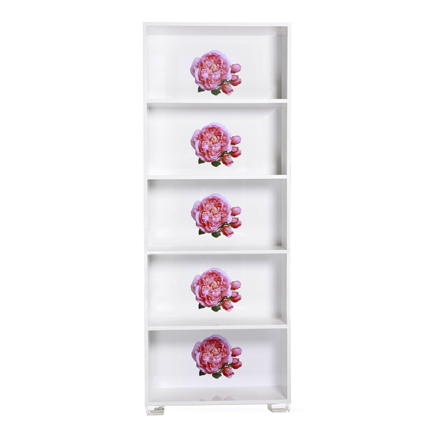 Another stunning acquisition is Floret Rosebud Bookshelf ($4,500.00), as for home accessories, take a look at beautiful Flower Art vases (Flowers Rose Vase, Flowers Dahlia Vase, $195.00 each).